5 speed close box kreidler. 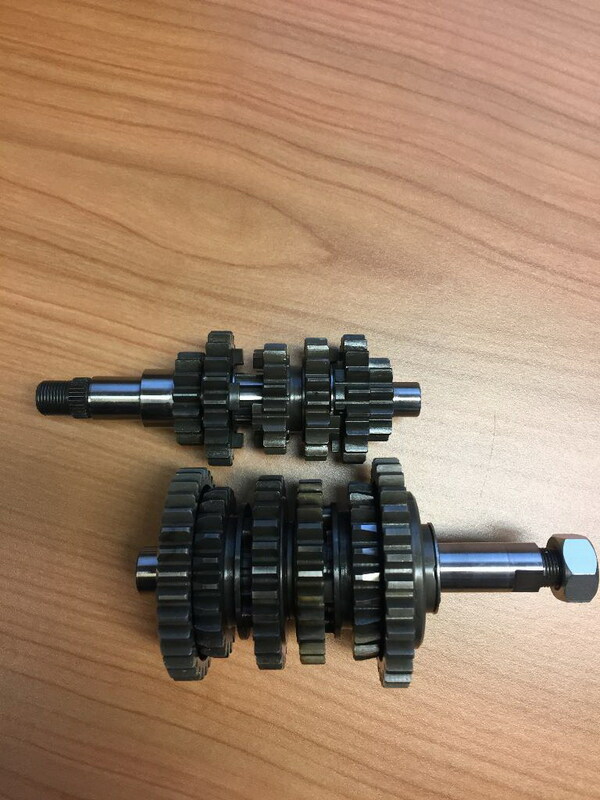 This gearbox has been developed by us and has been used for many years without any problems with cross and racing engines. This is a complete gearbox including all axles and gears. What you see in the picture is delivered. 1st 17-41 2nd 21-37 3rd 23-34 4th 26-33 5th 28-31 also available with a shorter 5th gear 28-30.